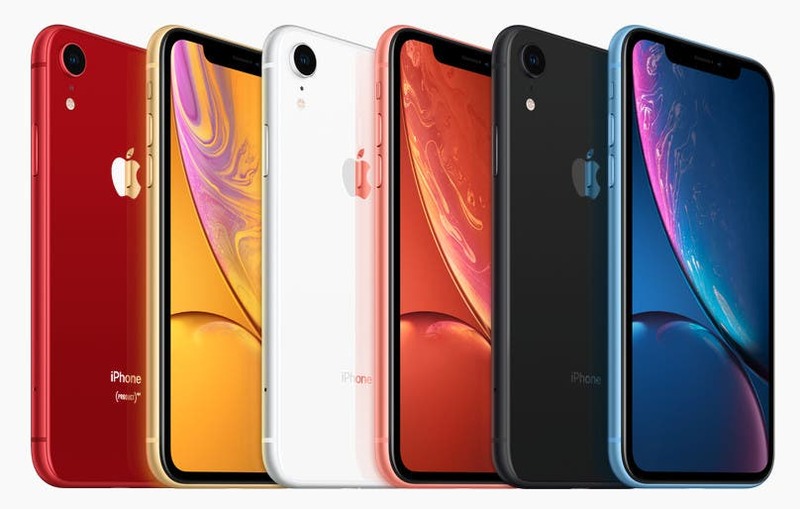 Apple announced the new iPhone Xr late at the ‘Gather Round” event at Apple Park campus in Cupertino. And it was all we expected it to be. Apple emphasized on the display quality, the top-notch build quality, and the colours of the phone in a relatively short description. So here’s is what the iPhone Xr is all about. Apple coined a new term for the 6.1-inch LCD display – Liquid Retina. The display is tall coming in at 19.5:9 aspect ratio. It has 326ppi pixel density same as the iPhone 8 and resolution is 828 x 1792p which is less than 1080p. There’s no 3D Touch on this but the display is slightly bigger than the iPhone Xs. Apple is instead offering new Haptic touch system, similar to the one on the MacBook Pro trackpad. Also, there’s an IP67 rating with the iPhone Xr while the more expensive iPhone Xs has IP68 grade waterproof. 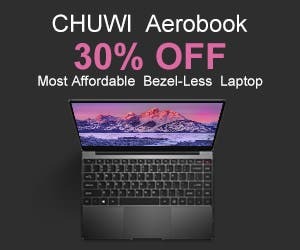 The chip inside the iPhone Xr is the A12 Bionic, the same as the other two models which is great to see. The camera is where the iPhone Xr seems to make a compromise. It features a single 12MP wide-angle lens, however, it still offers a Bokeh mode by combining hardware and software. 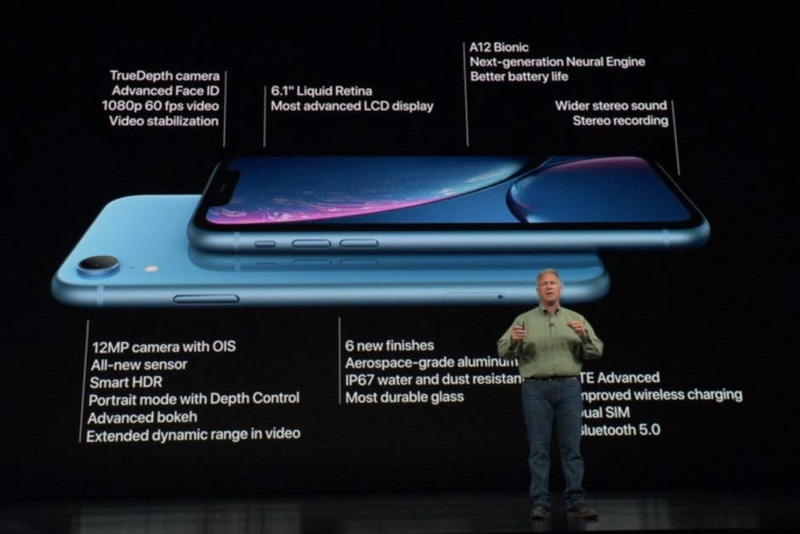 The front sensor is a 7-megapixel lens that will not only work for Animojis, Memojis, but also Face ID. All three handsets run iOS 12 out-of-the-box. As for battery life, again there’s no size but Apple says it will offer an hour and a half of more juice than the iPhone 8 Plus. The iPhone XR starts at $749 for the 64GB base variant. 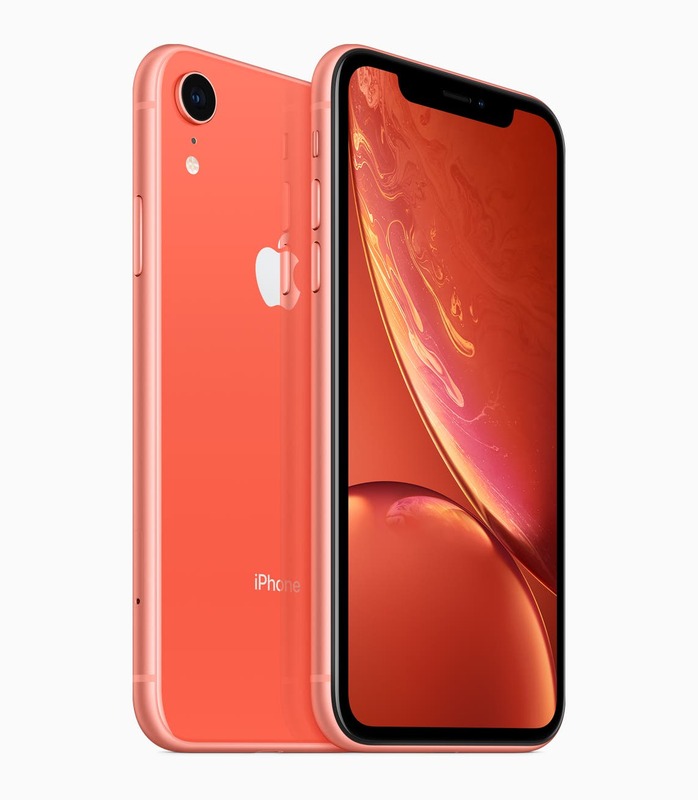 Pre-orders will begin on October 19th for the iPhone Xr and shipping will start on October 26th. There will be a choice of six colours – white, black, blue, yellow, coral and Red.